Synopsis: What is Durabase and the difference between Durabase and Durabase plus? The Durabase System is a proven solution for our DIY conservatories removing the requirement of skips and only takes a fraction of the time to install. The Durabase System is a made to measure steel base and modular wall system, meaning a perfect fit for your DIY conservatory. Durabase plus. 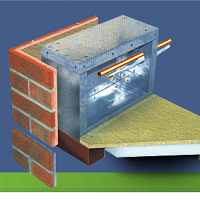 This is supplied with a deeper ring beam frame in order that 75mm of insulation and 22mm of chipboard can be accommodated, thus satisfying the U value requirements of building control. If you have any questions relating to this DIY Conservatory Base System please drop us a line - we would be pleased to help.